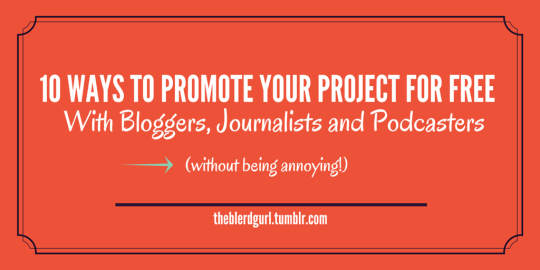 I was having a conversation the other day with a fellow blogger and writer and we both were lamenting the fact that although we both like to promote indie artists, (mostly writers and comic book creators) we are often inundated with emails, tweets and DMs from people wanting us to promote their work. (I can’t IMAGINE what editors at major publications go through). On top of that, there don’t seem to be any rules of engagement for artists, writers, and creators for how to approach bloggers, journalists or podcasters when it comes to self-publicizing their work. So from that conversation came this list. Let me know what you think!